Okay the SugarHouse Casino was fined by the Pennsylvania Gaming Control Board (PGCB) for what it called the casino's using "illegitimate" decks as a result of malfunctioning automatic card shufflers. It appears that some blackjack games and poker tournaments were affected by the improperly shuffled decks and missing cards, but it is not clear if those problems actually caused casino patrons to lose any money or not. Sometimes these mistakes actually lead to players winning instead of losing, even though this of course is not an excuse for the mistakes that occurred. But when the word "illegitimate" is used in the media to describe the affected decks, over-reaction can and does occur. I have received some emails asking if the SugarHouse Casino can be trusted or if they were purposely causing their automatic card shufflers to malfunction in order to gain some kind of extra advantage against their players. Mistakes like this occur all the time in casinos all over the world. I have been witness to so many procedural violations and equipment malfunctions over the course of hundreds of undercover investigations I have done for casino clients. To single out the SugarHouse Casino for this error is both unfair and a discredit to the casino industry. The casino has done what it needed to do to rectify the situation. It agreed to pay the fine and fired two supervisors even though there was absolutely no collusion or intent at the root of the mistakes. It has also taken measures to insure this problem does not reoccur. When PGCB David M. Barasch asked, "What was going on in SugarHouse that caused this amount of mess-ups in that short time? ", PGCB Director of Enforcement Counsel Cyrus Pitre replied that carelessness and boredom seemed to be the likely explanations. This may be true but it is not a state of dealers' and supervisors' job environments unique to the SugarHouse. Dealing can be a very monotonous job, and supervisors who on busy nights are so over-busied by players cards and tracking play that other integral parts of the casino operation, especially those concerning table games protection, get overlooked because there is often simply not enough time to properly enforce it. This is a similar problem to the one above the casino floor in surveillance departments, that being the fact that they are more times than not significantly understaffed. So all that said, let's just keep this in perspective and not overreact to seeing negative reports on the SugarHouse popping up on some of these headlines-grabbing twitter accounts that report casino robberies every day. 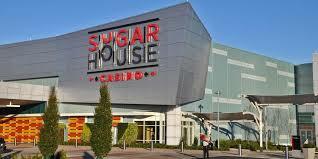 The SugarHouse Casino is a fine one. You can have all the confidence in the world in it.